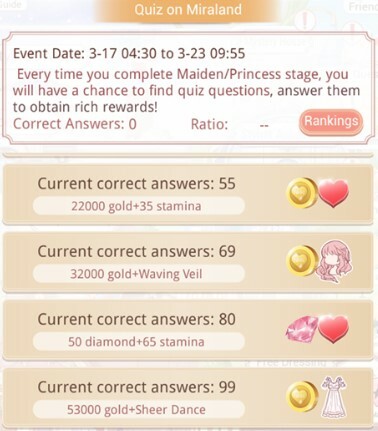 The quiz will randomly appear when completing any Maiden or Princess stage. If STARs answer the quiz correctly, then STARs can receive the gift according to each tier. 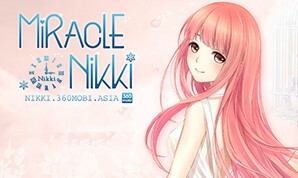 In the main screen, tap Event -> choose Miraland Quiz -> claim the reward yourself. 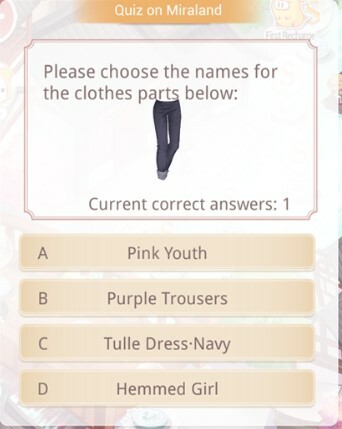 The reward isn’t sent automatically when reaching the number of correct answers, so STARS must go to Event -> choose Miraland Quiz and claim it yourself. “Done 10 times” in Maiden stage will guarantee 100% to make a quiz appear.